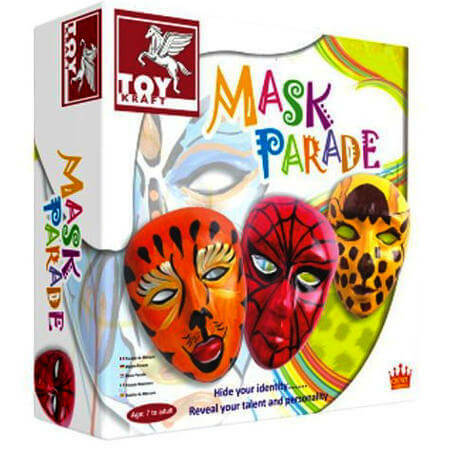 Craft Mask Painting Design Kit is a beautifully simple craft toy which has everything you need to design and paint 4 x Plastic masks. Just decide what sort of personality you want your mask to have. Maybe your mask is an animal, alien or cartoon character. Then paint on the base coat, wait to dry and then comes the color. Material: Plastic Masks, Paint, Ribbon. We like this because: "Simple - make a great wall hanging or mask for a fancy dress party."